B2 | 1, 2, 3 & 4 bedroom apartments for rent at Bridges ND. 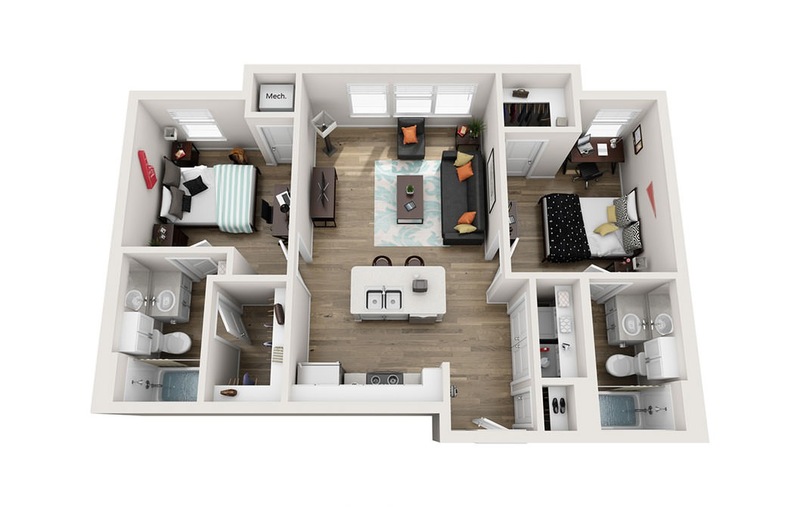 2 Bed | 2 Bath | 828 sq. ft.